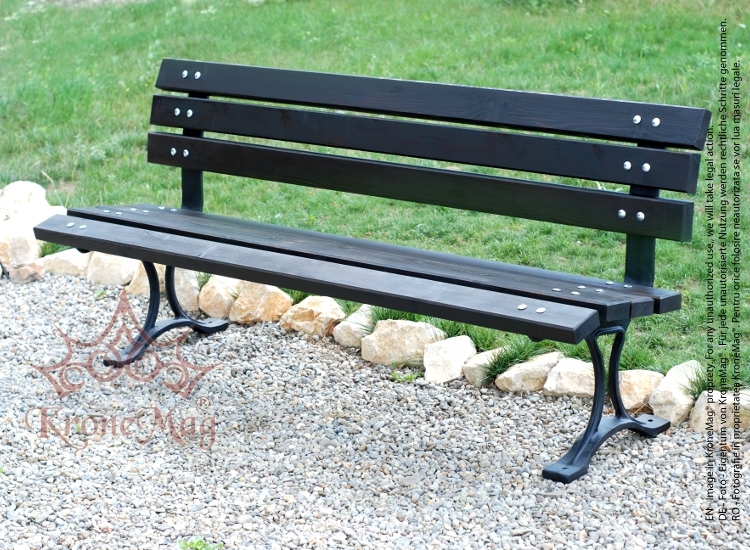 Garden Bench MINSK-FR is made of cast iron and wood slats. This bench is a classical and stylish choice for garden, courtyard or any other place for relaxation. This garden bench offers a comfortable seating and gives a elegant style to your garden. This garden bench is the ideal choice for decorate your garden. The cast iron and metal parts of the garden bench are powder coated. The coating is applied electrostatically and is then cured under heat. It is used to create a hard finish that is tougher than conventional paint, which gives the bench a higher resistance over time. finish that is tougher than conventional paint, which gives the bench a higher resistance over time. The garden bench wood slats are standard made from softwood (spruce, fir). Softwood slats of the garden bench is treated with three layers of protection against moisture, insects and ultraviolet light. Garden Bench DAVOS-FR is made of cast iron and wood slats.This bench is a classical and stylish cho..
Garden Bench MINSK 2-FR is made of cast iron and wood slats.This bench is a classical and stylish c..
Garden Bench MINSK 3-FR is made of cast iron ends and wood slats.This bench is a classical a..
Garden Bench CALATIS-FR is made of cast iron and wood slats.This bench is a classical and stylish ch..
Garden Bench 712-FR is made of cast iron and wood slats.This bench is a classical and stylish choice..